China’s Finance Ministry has retroactively exempted consumption tax on pure biodiesel made from waste animal fats or vegetable oils, and will refund taxes already paid over the last two years. The policy is backdated to January 1, 2009, the ministry said in a statement on its website late on Friday (www.mof.gov.cn). 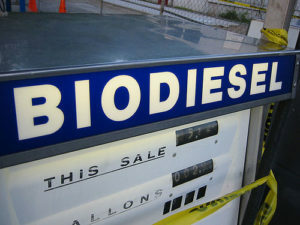 It will make the production of biodiesel cheaper by 900 yuan ($135.4) per metric ton, it added. The move is aimed at “boosting the renewable resources sector, easing demand for petroleum and protecting the ecological environment”, the ministry said in a statement.